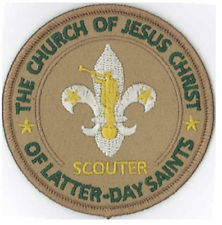 Disclosure: while I am a faithful, active member of The Church of Jesus Christ of Latter-day Saints, a Scout Master, a Wood Badge Staff member ("I used to be a Beaver..."), and having served in almost every Boy Scout leadership position both as a boy and leader, this article in no means represents the opinions or positions of The Church of Jesus Christ of Latter-day Saints, nor the Boy Scouts of America. I love both organizations and will be a lifetime actively serving member of both. I only share this to represent some of the feelings of someone who is active in both, and how this affects them. "The Church of Jesus Christ of Latter-day Saints is deeply troubled by today’s vote by the Boy Scouts of America National Executive Board. In spite of a request to delay the vote, it was scheduled at a time in July when members of the Church’s governing councils are out of their offices and do not meet. When the leadership of the Church resumes its regular schedule of meetings in August, the century-long association with Scouting will need to be examined. The Church has always welcomed all boys to its Scouting units regardless of sexual orientation. However, the admission of openly gay leaders is inconsistent with the doctrines of the Church and what have traditionally been the values of the Boy Scouts of America. As a global organization with members in 170 countries, the Church has long been evaluating the limitations that fully one-half of its youth face where Scouting is not available. Those worldwide needs combined with this vote by the BSA National Executive Board will be carefully reviewed by the leaders of the Church in the weeks ahead." Let's start by getting this out there: while the final paragraph of the above press release rings true, the timing of this press release and the way it was worded with the first paragraph was horribly timed for both the public, and the Church's stance on loving our LGBT neighbors. Now, instead of this being an issue of whether Scouting belongs in the LDS Church in general, it is being lumped together with seeming against the decision of the board itself, making the Church appear bigoted towards the LGBT community. I know this isn't the case. While I'm sure they were frustrated they were left out of the decision making process (something the Church was implying they actually supported before this meeting), I don't think that was their intention or reasoning for "re-evaluating". In addition, for those of us Scout Masters that were asked to serve (as Mormons the term is "we are called") in a position that rivals Bishop in time spent to properly execute the program, this feels a bit like a slap in the face on all the efforts we've put towards our programs, the time spent faithfully serving in our assigned positions, and time spent implementing "The Patrol Method" and getting trained. Because every boy deserves a trained leader. It came completely out of the blue. I don't think anyone can ever question a loyal Scout Master's sustaining of his church leaders, and that certainly isn't my intention for others to question by my sharing of these thoughts. Trust me - I have better things to do than put my time in as Scout Master, but the time spent sure is worth it for these boys. Then there are other questions I'm now left hanging with. Am I planning Scout Camp next year? Do I continue with my efforts to implement The Patrol Method? Do I keep encouraging parents and boys to spend exuberant amounts of money on uniforms, books, and patches? I'm kind of left hanging here with the statement above. I love doing these things but because of this statement and nothing to back it up with, I'm left hanging, wondering if I'm wasting my time. Then there are those that have gone a bit beyond their duty, volunteering, as members of the LDS Church for leadership programs like Wood Badge and other leadership programs. As a staff member this year, we are left wondering if our efforts to train leaders into "servant leaders", teaching boys how to become leaders themselves, are even worth it. And there are definitely those that are second-guessing whether they should be attending Wood Badge at all - I know of more than one participant (personally) that has backed out because of the wording of the press release above. Now let's talk about the actual issue itself - yes, the way the program is designed currently, as someone who attended Cub Scouts in Indonesia in a non-LDS Scout program, BSA is MUCH better implemented outside LDS units. Let's face it - in the Scout Master's Handbook the first thing it talks about is implementing "The Patrol Method" within a troop. The Patrol Method allows for sub-groups to be organized within the larger Troop, allowing for multiple Patrol Leaders, Assistant Patrol Leaders, Quartermasters, and other positions to exist in a single Troop. The ratio of boys to leaders forces the boys to be in charge, and these troops are much more likely to be "boy-led" troops. In an LDS Ward-level Troop (the way the program is implemented by default in most LDS BSA programs in the USA), there are very few Wards with enough boys to implement this Patrol method fully. And if it can be implemented now, as boys graduate gradually the unit will be left with too few boys in the future to continue implementing the Patrol Method. It's also very hard to implement a fully-staffed committee in an LDS unit. And LDS units don't take dues so typically have much less money than a typical non-LDS unit does. The fact of the matter is, the way Scouting is supposed to be implemented cannot be implemented effectively in a typical LDS unit. This could actually be fixed by forcing the default Scouting unit in LDS charters to be at the Stake level instead of the Ward level. This only works in Utah though, where a typical Stake (the larger area consisting of multiple LDS Wards or congregations) is only blocks wide. This would be much more difficult to implement in a non-Utah Stake. Outside Utah the only way to truly be effective would be merging with non-LDS charters in the local area. I can't see the LDS Church doing this any time soon. So the LDS Church is in an awkward position here. Yes, I believe the press release was rushed and written and pushed to the public at the wrong time, and coupled with the wrong issue. It's NOT an LGBT leadership thing as far as I can tell (even if it seems so). There have been openly gay Scout leaders in LDS units for some time now - at least I have known a few that have been either open or willing to discuss privately. The issue is that the Church just isn't equipped to fully implement the Scouting program the right way. I think the LDS Church would be better off encouraging its boys as well as 14+ year old age girls (until Scouting allows girls in other branches) to attend non-LDS charters of the BSA. The program still builds boys and still turns them into leaders. Then, inside its own organization it should be focusing on its own "Duty to God" program. It's time to let Scouts be Scouts and Mormons to be Mormons, while co-existing as separate entities. That's pretty much how it works outside the USA. If not, I'd love to see another, better way to implement The Patrol Method and keep BSA and Mormonism together. I'm lost at what might work right now. In August 2007, my friend Chris Messina proposes the use of "hashtags" to organize conversations - his words, "how do you feel about using # (pound) for groups. As in #barcamp [msg]?" In September 2007, Twitter launches a feature called "track", enabling users to send "track" followed by any term they want to receive updates by users on via SMS. It was disabled not long after due to growth and scalability needs of the service. In July 2008, Twitter acquires the service Summize.com, allowing any Twitter user to search for public Tweets and see results almost in real time. Upon the announcement, Twitter announces the launch of search.twitter.com integration with Summize (previously, after track was disabled, users could only search for other users through Twitter search). Some time around August 2008, Twitter integrates links to hashtags that integrate with Twitter search, and launches trending terms showcasing the top terms talked about at any given time. October 2008: during the second semi-annual General Conference of the year for The Church of Jesus Christ of Latter-day Saints, Adam Wride posts, "#ldsconf Getting ready for first session of conference". He follows that with a response to @justin_hart and a few others, "trying to popularize #ldsconf - spread the word". Thus begins the use of #ldsconf during LDS General Conference. You can follow how it all started over on Topsy (just click here). My first #ldsconf Tweet was shortly after that after seeing my friend Joel Dehlin (then, I believe, the CIO for the Church) use it: "Are you watching LDS General Conference? Tag with #ldsconf and track what others are saying at http://search.twitter.com"
I admit I'm a little fuzzy on the origins of the use of "Twitter Stake", and the hashtag #TwitterStake. I'll admit I'm not even sure what it was or how it came to be, but I get asked about it a lot, and it gets confused with the use of #LDSConf often. "Twitter Stake" seems to have originated with my friend Kathryn Skaggs around 2009 some time, but I can't find a quote by her that predates the first tweet. The first tweet around #TwitterStake was actually by my cousin, Patti Harvey, in response to @LDSNana (Kathryn Skaggs) not even using the hashtag: "Twitter Stake. I like that! :-)" After that, many more tweets followed using the hashtag #TwitterStake. Here's the breakdown on Twitter. The Church was rather slow in adopting #LDSConf. While I worked for the Church, there were concerns amongst those at Headquarters that they didn't want to distract from the messages of leaders, so we started by only posting before and after sessions of conference on varying official accounts. I always saw it as another media channel that could get the message out to so many more people, but like many things at the Church, it takes time to help everyone understand the value of things like this (and there were still many levels between me and those that could make a difference). When I was there, I was offered the Twitter account, @LDSConf, and I believe we secured it at some point while there. No one at the Church wanted to use it though at the time. In April of 2013 when I worked for Deseret Digital Media, I realized I still had the @LDSConf account, and decided there was an opportunity to use the account to "live-tweet" conference from DeseretNews.com using the new account. We put people from DeseretNews.com and OkEspanol.com (the Hispanic Digital Newspaper that I was in charge of) in the press room at the conference center and live-tweeted conference in both English and Spanish as the first church-owned organization to live-tweet conference (that I know of at least). We also sponsored an ad for the #LDSConf hashtag telling people about the new Twitter account. Finally, in October of 2013 I'm told the Church started live-tweeting conference during sessions, marking a change in culture surrounding Tweeting during conference sessions. This year marks the 6th anniversary of the #LDSConf hashtag. I've noticed the Church has picked up the pace even more in tweeting during conference sessions, and I'm even seeing multiple languages now. Also, last year they started posting memes and other inspirational messages released during talks. The leaders of the Church now have Facebook, Google+, and Twitter accounts and those accounts are being updated regularly during the talks of each leader. It's humbling to see the things put in place over just the last 6 or 7 years, and to see the steps that we had to go through to truly build a single "village" of Mormons, all communicating worldwide and sharing the Gospel messages from leaders of what we believe to be God's church with each other and our friends. There's still a lot more work that needs to be done, but this has been a fun ride and I can't wait to see where we go as technology continues to evolve! There's a parable I've heard in multiple forms and just heard again today. It goes like this - you want to hire a truck driver to deliver goods for your company. Some versions of the story involve a Stage Coach, but the premise is the same - you hire some sort of vehicle that delivers some sort of precious goods. The path between your place and the destination involves perilous roads with cliffs on one side, where you can easily fall off the edge. As you interview the drivers of the vehicle, the first one comes to you and says they can drive as fast as they can, getting as close to the edge, "so close that I can get half my tire off the edge and still make it through the road." The second driver says they will go as fast as they can, but stay in the middle of the road the entire way. The third says they'll stay as far away from the edge as they can and go as slow as possible. Then the question is asked, "which driver would you choose?" The expected answer is always the last one, because the supposedly the safest approach is always the one furthest from taking a person into darkness. Then, it is compared to one's faith, or standards (or maybe even overcoming an addiction) in some way, teaching people to stay as far away from sin as possible, just like the last truck driver. I understand why people tell the story - it makes sense, only to an extent. I want to suggest the parable is wrong though. I would choose the first driver. The first driver, because he can "tow the line", has likely been through the experiences needed to get one through tight situations, and when they come, he can get you out of harms way. The part of the story that is not mentioned is that roads aren't always straight and wide. They are windy, get very narrow at some points, and are quite dangerous at others. I love the History Channel show "Deadliest Roads." In this show, very experienced truckers deliver goods from one place to another, taking the challenge of getting those goods across some of the most dangerous roads in the world. The roads are wide, and easy to drive on many spots, and when the drivers drive those roads, they stay as far away from the edge as possible, just like that third driver. However, most of these roads have very harrowing, thinning roads, some with slippery surfaces on them where the truck could slide over the side of the road down the cliffs at any moment. These experienced truckers know their trucks though, and they had the experience to get through those roads, some times with their tires half-way off the road. When delivering my goods, these are the truckers I want to hire to get my stuff to its destination safely! In life, our roads are the same. They're not always straight and wide where we can stay as far away from the edge as possible. Those smart, experienced people will, but we still need to strengthen our foundations, and prepare ourselves for when those roads become thin, and slippery. We can do this through scripture study, learning our Church History, studying our Family Histories, and building standards for ourselves that we can vow never to change. While the roads are wide and secure, this is the time to learn, study , and be prepared. Then, when we hit those thin and slippery spots, we'll have the preparedness and experience necessary to make it through those trying times. Those that are prepared. "The Experts", are the ones that will make it across those "slippery situations" and continue along the road unscathed. Should we always "tow the line"? Of course not - we should stay as far away as possible. But, we need to still be prepared when "as far as possible" is only a few inches away from us. It's this latter story I wish we would teach more in our meetings and amongst our friends and family. This is the best way to raise a family. Otherwise, we're just training amateurs who won't know what to do when they approach the edge of a cliff. Perhaps I'm breaking the cardinal rule of "what happens in Relief Society, stays in Relief Society" (Relief Society is the service organization for women in The Church of Jesus Christ of Latter-day Saints), but I'm going to share anyway. My wife shared with me the story of an experience she had at a recent "women's night out" through our local LDS congregation. At the event, a woman who had recently left the LDS Church and become Atheist had come to partake of the fellowship of her neighbors and friends as well. 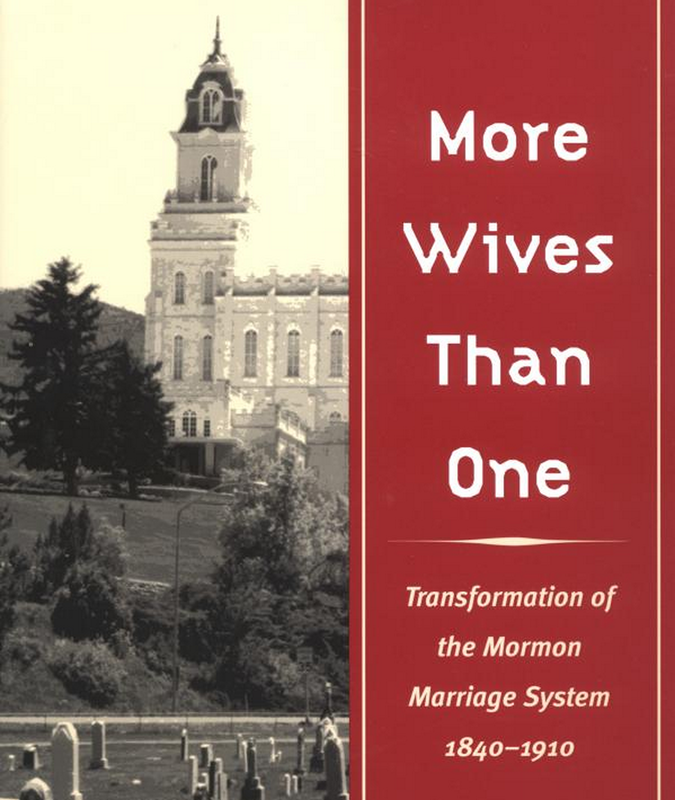 In some of the conversation of the night, one woman there asked her, "so, why did you leave the Church?" Reluctantly, but perhaps also grateful they were genuinely interested, she answered that she had decided she didn't believe in God any more, and had become Atheist. I'm not sure if the resulting conversation happened with her, or outside of her presence, but it shocked me a bit to hear my wife talk about what they said (to my wife's credit, she was defending this lady). She said some of the ladies there couldn't believe that this nice lady could really experience "true joy" and still be Atheist. They didn't believe she was genuine, and some even insinuated she might be lying to herself about the joy she was experiencing. This mentality needs to stop! I don't believe pure joy is limited to Mormons. In fact, I don't believe it's limited to just Christians, or Muslims, or Bhuddists or any one religion. I've been around enough non-Mormons and even ex-Mormons and non-Christians to know that there is joy everywhere, and some even experience more than I have in this lifetime. If this were not the case, did Ghandi not experience joy in bringing peaceful freedom to his people? Are my fellow Mormons prideful enough to suggest they have experienced more joy than Mother Teresa? The fact is, it is not the prideful, but the meek that shall inherit the earth, and every Mormon and Christian out there knows this. 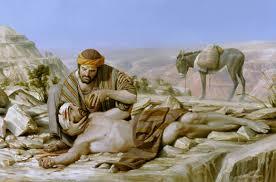 I'm reminded of the Christian story of The Good Samaritan (which Mormons believe as well). In it, a man was beat and left to die on the side of the road. He was passed by a Priest and a Levite, neither wanting to touch a man that was as defiled as possibly dead. Yet, the Samaritan, of a group quite hated by the Jews, was the one who stopped and brought back to heal back to good health. It was regarding this man that Jesus Christ said to "go and do likewise." Christ Himself said, "These things have I spoken unto you, that my joy might remain in you, and that your joy might be full. This is my commandment, That ye love one another, as I have loved you. Greater love hath no man than this, that a man lay down his life for his friends." It is not by believing in God that one serves and receives joy. It is by serving and receiving joy that one comes to know God. The "God part" is not required to receive joy! I'm troubled that there are many of my fellow Mormons and Christians out there that believe joy cannot exist without a belief in God, or an active participation in His Church. Joy exists in service. It exists in loving one another, and being willing to lay down our lives for our friends, no matter who they are and what their faith (or lack of) is! I have no doubt that this innocent lady, who actively participates and serves in her community regardless of who her fellow man is or believes, experiences more joy than perhaps many of those that were judging her after-the-fact. May we all follow in her example.